Gamification is a modern business strategy that leverages principles from games to influence favorable customer behavior on the web in order to improve customer loyalty, engagement, and retention. 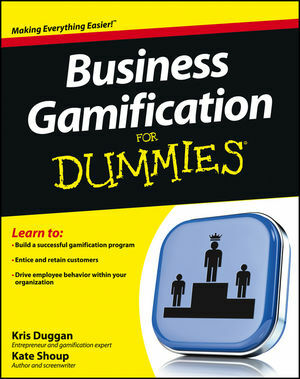 Gamification can be used by any department in a company (HR, Sales, Marketing, Engineering, Support, etc. ), for any web-based experience (mobile, website, retail, community, etc.). If you're interested in learning more about this exciting and innovative business strategy, this friendly, down-to-earth guide has you covered. Kris Duggan is a thought leader of innovative ways to incorporate game mechanics and real-time loyalty programs into web and mobile experiences. Kate Shoup has written more than 25 books, has co-written a feature-length screenplay, and worked as the sports editor for NUVO newsweekly.